Initially launched on the Nintendo DS back in 2008, The World Ends With You, is a game that garnered much praise, helping to amass a very devoted following, and I unfortunately, let this one pass me by. The game seemed like my perfect video game, from its look and sound to its RPG mechanics and unorthodox controls, but as I wasn’t much of a handheld gamer back at its release I never knew it existed. Cut to 2018, and seeing the trailer for this one had me interested from the second I saw it, especially considering it was coming to the Nintendo Switch as a “Final Remix” version. This “Final Remix” version is actually a port of the mobile version of the game, which released on iOS and Android in 2012 and 2014 respectively. So how good is this mobile port? Is this just a cheap cash grab, or something more? Let’s find out! The World Ends With You begins with the main protagonist, Neku Sakuraba, awakening in the busy scramble of Shibuya. Unsure of how he got there and suffering from a bout of amnesia, he is quickly attacked by some mysterious frogs that seemingly come from nowhere. That is when Shiki Misaki shows up, convincing Neku to form a pact with her, which allows him to fight the frogs with magical powers known as psychs. The story presented here is intriguing, full of twists and turns, and had me enamoured with it from start to finish. Backing up the strong story is a series of extremely well-written characters, helping to bring life to this take on Shibuya. Neku is the strongest of all these characters, having a character arc that shows real growth throughout the game. Speaking of Neku, he is wholly unlikable in the beginning. He is a loner, hates everyone, and wants to drive everyone around him away. He has no regard for their feelings and will do anything to just be left alone. Over the course of his journey though, you will learn why he feels the way he does, getting a peek into his mental state, as well as see him grow as a human being as he is forced to rely on others to survive. Neku’s growth through the story spoke to me, hitting very close to home. I won’t bog down this article with specifics, but having a firm understanding of his character made his entire development believable. His transition isn’t rushed, and it takes the entire game to pay off, but the payoff was more than worth it. This helped me have a connection with the character, and have a very emotional response to the ending of the game. The World Ends With You is a very robust role-playing game with some very unusual mechanics. A basic rundown is that you battle creatures in real time, using swipe gestures to attack. Battles net you experience, which levels you and your attacks up to make everything stronger. The more you raise your stats, the stronger gear you can equip, and that is essentially the gameplay loop. Taking a deeper dive though, and this is anything but your generic RPG. Starting with combat, your attacks are actually based on pins, which you equip from the main menu. Each pin has a different attack, and have specific ways of activating them. For example, some pins require you to slash across an enemy, so using touch or motion controls, you make a slashing motion across the enemy and Neku will attack using that pin. Others will require you to tap on an enemy, draw a circle in empty space, press in empty space, slash across Neku, or even just ram an enemy. Beware though, each pin runs on a cooldown, so you will have to watch for what attacks you can perform, and which ones are about to become available once their cooldown meter is restored. You also have a partner with you in the game, which you can order to attack as well. For instance, Shiki will attack when you tap on an enemy, with the more times you tap allowing her to perform longer combos. There is a sync rate with your partner as well, that when maxed out will begin a mini-game, upping a multiplier for a devastating finishing move. The different motions required to activate pins are easily performed on the touch-screen. What you are required to do is one-to-one with the description. Tap an enemy? Just tap the screen where the enemy is. Slash across Neku? Just swipe your finger across Neku quickly. Being a port of the mobile version, the touch controls are extremely well implemented here. The only real issue I had was it getting a little finicky about registering movement. Sometimes, a swipe for a dash to dodge an enemy would register as a swipe to attack, forcing me to take unnecessary damage. This isn’t a handheld-only game though. If you want to use a single Joy-Con in docked or tabletop mode, then you can do so with pointer-based motion controls. Essentially, you use the Joy-Con as a pointer, moving around a cursor on screen. Pressing the A button registers as you touch the screen, meaning that taps are done by tapping the A button, slashes are done by holding A and swiping across what you intend to slash etc. This control scheme took a lot of getting used to, but I ended up loving this method of playing the game. The main reason for this was that to move, you pointed the cursor where you wanted to go and just tapped the B button, and Neku would dash to that location. This meant that dodging was much more effective when using motion controls when compared to the touch controls. My preferred method of playing the game though? Holding the console with my left hand, and using my right to hold a Joy-Con, taking advantage of the motion controls while still having the game as a handheld. Playing the game this way meant that I needed only slight movements to pull off all my attacks, could still wander around the city using the analogue stick, and could thumb through dialogue using the A button rather than touching the screen. If you were to use the touch controls in handheld, you are forced to wander around Shibuya by touching where you would like to go and to skip through dialogue, as the sticks and buttons are disabled. The World Ends With You is more than just gaining EXP and pins through battles though. You have a rather robust selection of locations around Shibuya to explore. Yes, in each section you can battle, grind and level to your heart’s content, but if you want to just chill and wander around the city, you very much can do so. Reading people’s minds is a mechanic used sparingly to move the plot forward, though this ability is available at all times. Each person who inhabits this world has a small sentence or paragraph detailing their thoughts at the time, which helps to give life to the world around you. There is more to do than just wander around and read minds though. Why would you visit Shibuya without doing a spot of shopping? You can buy a rather large array of items that will help with your battles, from new pins that grant you new attacks, to clothing and accessories that will up your stats. You can also purchase food items that take a few battles to digest, but once digested will grant you permanent upgrades to stats such as bravery, or even increase your sync rate with your partner. Not all items are focused on battles and abilities however, as there are also plenty of unnecessary items available to purchase that I greatly appreciated. The one thing I absolutely loved and couldn’t help but collect were the music tracks. Each music track you purchase can be set as your menu music which is a clever touch. Hearing my favourite tracks every time I open up the menu always brought a smile to my face. A visual novel style element is present in the game as well, which is how a lot of the story is presented to you. There are even some small dialogue options you will get, but these aren’t all that necessary, as generally, you will need to hear the answer to every option as it is anyway. After completing the game, a chapter select becomes available to you, allowing you access to some post-game content. ‘A Secret Day’ is unlocked straight away, and allows you to explore Shibuya without having to worry about missions, taking part in mini-games and conversations with whomever you’d like. But if you would like to access the Switch exclusive ‘A New Day’ content, you will have to jump through some small hoops. Basically, you need to seek out some special reapers on specific days, and beat the creatures they sick on you. They are fairly easy to find, as they stand out somewhat, but their challenges are anything but simple. The reapers are also usually in the opposite direction to the mission objective, so they are very easy to miss. Speaking of ‘A New Day’, I was more than happy to spend more time with Neku and his friends. Any excuse to spend more time in this world I will take. That said, this Switch exclusive content has one annoying little wrinkle; Coco the reaper. She is a childish character that has a great design, but unfortunately drops rather annoying lines of dialogue. Maybe I’m just getting old. Coco is not a deal breaker however, as the story told here is still intriguing, with a new mysterious mission to complete. Also, everything you know about Shibuya up to this point will be thrown out the window. Be warned, the difficulty here is rather painful, which is to be expected for the post-game. Frankly, I welcomed the challenge. On the subject of character level and difficulty settings, you can adjust all of this on the fly. Doing so is actually a mechanic within the game meant to be taken advantage of. Raising and lowering the difficulty will change the amount of EXP you will earn each battle, with the harder difficulties rewarding you with more EXP for your troubles. You can also lower your level all the way back to level 1, which will lower your overall health, but net you a lot more pins, even rare ones you are unable to get when fighting at your current level. Now for some even more obscure mechanics. There is a whole brand chart within the game, where certain brands of clothing and accessories are more popular in certain areas of Shibuya than others. The more popular brands grant you buffs to your pins associated with those popular brands, while the least popular brands will have negative effects attached to them. Your favourite attacks aren’t rendered useless by this mechanic however, as you yourself are a trend-setter. The more you fight, the more popular the brands you are currently wearing will get. This adds a whole little mini-game you can play with yourself to get your favourite pin brands to become the hottest thing in Shibuya. Speaking of pins, certain pins can be morphed and evolved. When you are using a pin that has a chance to evolve, when it levels up it could very well turn into a more powerful version of what you had before. This had me collecting multiples of my favourite pins in the hopes that I could get one of them to evolve. There is also a whole mini-game surrounding pins, called ‘Tin Pin’. Tin Pin is a simple game where you try and flick your pin at your opponents, trying to knock their pins off the board. There are some special attacks and pins you can get specifically for this little game as well, and it can serve as a fun distraction. The whole look of The World Ends With You is incredible. The character designs are in an anime vein, but they aren’t too over-the-top or busy, being a bit more subdued than you would expect from this type of art style. Street art is a big part of the game as well, with some great art pieces scattered around all over the place, from within the menus, to the designs of the pins themselves. Each area of Shibuya is brilliantly designed as well, standing out as unique from one another. This helps to allow you to memorise the map, knowing what area leads to where. Even the battle arenas are superbly crafted, with the entire visual style just oozing quality. A lot of love has been put into this HD update, with everything looking sharp in both handheld and docked mode. The World Ends With You has some of the best audio I have heard in a game. Its sound effects are well done, with each attacks having a satisfying sound to them, making each attack feel meaningful. There is minimal voice acting, but that is done well too where it is used, but its sound effects aren’t why this games audio is special. Music is a major part of this game, with Neku wearing headphones throughout his journey. And how is this soundtrack? Well, it is one of the best video game soundtracks you will hear. From heavy rock with electronic vibes to vocal driven ballads, the music is vast, varied, and adds so much to the overall game that it deserves a lot of praise for pulling the whole aesthetics of this game together. Even beyond the confines of the game, this soundtrack stands on its own as a collection of music suitable for any environment. In fact, I have added the soundtrack to my phone, listening to it as I am at work or exercising. It truly is that good. 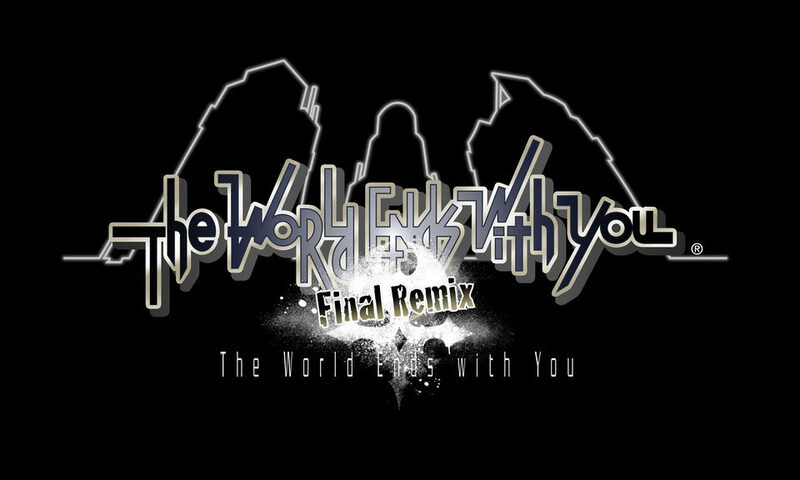 The World Ends With You: Final Remix stands as an example of what a true masterpiece can be in the video game space. From its stellar gameplay hook that adds a unique flavour to the RPG genre, to a story with relatable characters that go on a truly emotional journey, to its incredibly special visual design, the game is a masterclass of game design from top to bottom. Top all that off with one of the greatest video game soundtracks of all time, and you have a game that has quickly made it on to my favourite games list, possibly fighting for the number one spot. The only downfall of this port is that the controls can be a little finicky, but it in no way ruins the experience at all. Now excuse me while I continue to get lost in this worlds post-game, collecting optional reports to open up more backstory, and just generally not wanting to let go of these characters.